You always get more out of big. So let your hair be full of itself. No biggie in this case. It is believed that the proteins they contain coat your hair and help build it up. Flat hair is sad hair. SCALP REVITALISER. 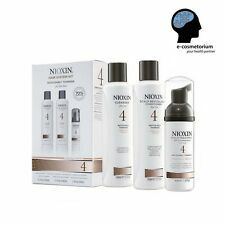 Nioxin System Starter Kit 4 for Fine Hair. Cleanser (5.1 fl oz - 150ml). Apply on wet hair, gently massage into scalp and hair. Lather 1 minute. Rinse thoroughly. Use daily. Apply directly to entire scalp. Marseille Soap. Repeat, if necessary. Aleppo Soap. The formulation contains keratin and lactic proteins. Free from SLES, SLS, silicone and artificial colouring. Natura Siberica. SCALP REVITALISER. Nioxin System Starter Kit 2 for Fine Hair. Cleanser (5.1 fl oz - 150 ml). Apply on wet hair, gently massage into scalp and hair. Lather 1 minute. Rinse thoroughly. Use daily. Apply directly to entire scalp. Enhances the regeneration of skin cells & hair strength. Promotes hair growth. View Related Products. Ending Soon. Creates visibly thicker, stronger hair and healthier roots when Swell's 3-Step System is used regularly. NO Silicones, Parabens, SLS or Chemical Build-up. Swell is against animal testing. Ensure usage directions are followed for perfect results. 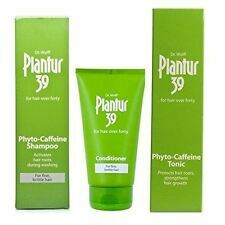 Plantur 39 Caffeine Tonic, Shampoo and Conditioner For Fine Brittle Hair. KERASTASE Specifique Stimuliste Spray 125ml Anti Hair Loss Treatment NIB! KERASTASE SPECIFIQUE STIMULISTE. Kerastase Stimuliste is a nutri-energising daily anti hair-loss spray. This instantly refreshing your scalp and nourishes the hair from root to tip so the hair looks denser. Breakage is reduced and hair's resilience is increased. BioAmp adds thickness and strength whilst Activ-Renewal gives a more youthful-looking scalp and fuller, healthier looking hair. To use: Apply to wet hair, massage and rinse thoroughly. Full Density by Matrix Biolage Shampoo for Thin Hair Fulldensity 250ml . Tweak'd Rhassoul Rise & Shine Cleansing Volumizing Scrub 227g NEW & SEALED. Dispatched with Royal Mail 2nd Class. Found in this Amplify conditioner, Long by Valery Joseph's specially patented 'Smart Keratin' complex. Long by Valery Joseph. New York-based stylist Valery Joseph's haircare range is designed for long tresses. PHYTO Phytovolume Volumizing Shampoo for Fine Hair, 200 ml. Condition is New. Dispatched with Hermes Tracked. Won't build up or weigh your style down Leaves hair healthy-looking and shiny. for Fine or Thin Hair. 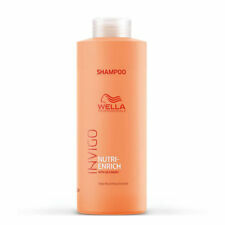 It gives much-needed hydration to keep hair from falling flat Light enough and daily use. In addition it hydrates the hair whilst improving hair fullness, resilience and protecting hair colour. BioAmp adds thickness and strength whilst Activ-Renewal gives a more youthful-looking scalp and fuller, healthier looking hair. Plantur 39 Colour. The Plantur 39 Colour Brown Colour Conditioner boosts the colour-intensifying effect of the shampoo. It works by hiding grey and light hair and light hair roots. Your hair is glossier, silkier and easier to comb. Volumetry by L Oreal Conditioner for Hair Anti Gravity Effect 150ml for Fine Hair . SALON CLEARANCE: (1) Paul Mitchell Shampoo One 300ml. All products taken from a salon clearance 100% genuine sealed and unused. 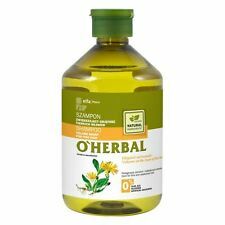 It gently removes product build up, clearing nutrient pathways to your scalp and hair follicle sites without stripping hair of essential oils. You'll be left with a healthy shine and fuller hair texture. Regrettably at present vinyl tape is unavoidable. Ingredients & Usage. Fast Despatch. Don't be surprised to receive your order ahead of its estimated arrival date. Jason Natural Products Thin to Thick Hair Thickening Volumising Shampoo is a rich lathering, bodybuilding shampoo which uses gentle botanical surfactants to thoroughly purify the scalp and cleanse the hair of dirt and oil. By flipping your whole hair-washing routine on its head. That way, your hair gets the conditioning it needs to feel smooth and silky, but maintains the bounce it needs to look fabulously full. Total Results by Matrix Conditioner High Amplify Protein 1 Litre (1000ml) for Volume . BioAmp adds thickness and strength. Glyco-Colour Shield Dual protection technology designed to safeguard the scalp skin and preserve hair colour. Hair Colour Protection: Custom-built molecular technology designed to provide CLINICALLY PROVEN colour protection and vibrancy. DualSenses by Goldwell by Goldwell Fade Stop Shampoo 100ml Normal to Fine Color Treated Hair . Total Results by Matrix Shampoo High Amplify Protein 1 Litre (1000ml) for Volume . SAPONICS CONDITIONER. Saponics Conditioner contains concentrated bioactive nutrients, D-Panthenol as well as stimulating and conditioning vitamins A, E and F. Active horsetail extract rich in soluble silica provides the basic building blocks of hair. How to use: Apply to wet hair and massage gently. Rinse and shampoo again. Wait for a few minutes and rinse thoroughly. Specifically designed for fine hair, this shampoo combines calcium, magnesium, manganese and zinc that works to energise scalp cells and regenerate fragile hair. Stunning bounce for fine, flat hair. Advanced Hair Series. For Fine, Flat Hair. With Oxyfusion Technology to breathe life into fine hair. Made with lightweight oxygen-fused conditioning ingredients. Oil Wonders by Matrix Shampoo Volume Rose 300ml for Fine Hair . It's ideal for those with fine hair. For a little extra luxury treat, apply from root-to-tip at night, and wash out in the morning. NO: parabens, sodium lauryl/laureth sulfates, petrolatum, artificial colors or phthalates. 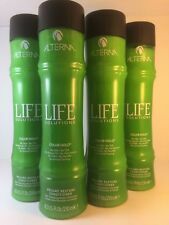 Strengthens & volumizes fine hair. FURTERER NATURIA Extra Gentle Detangling Spray - 150 ml.